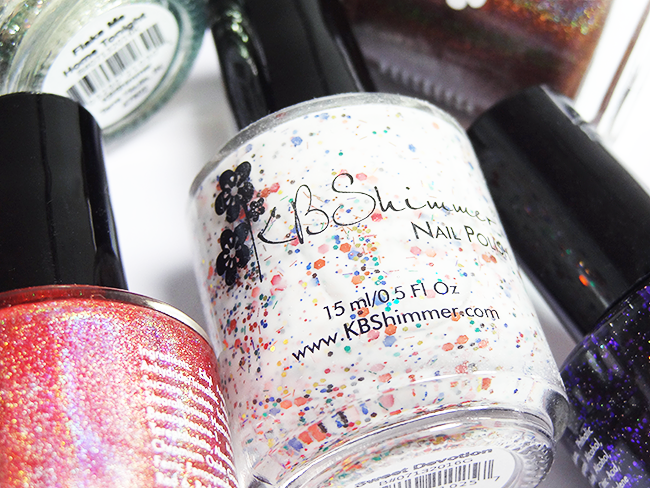 KBShimmer, a brand I've long admired from afar, is making its debut on my blog today! Color4Nails has provided me with the new Autumn collection which consists of a variety of beautiful finishes including holo, shimmer and creme. 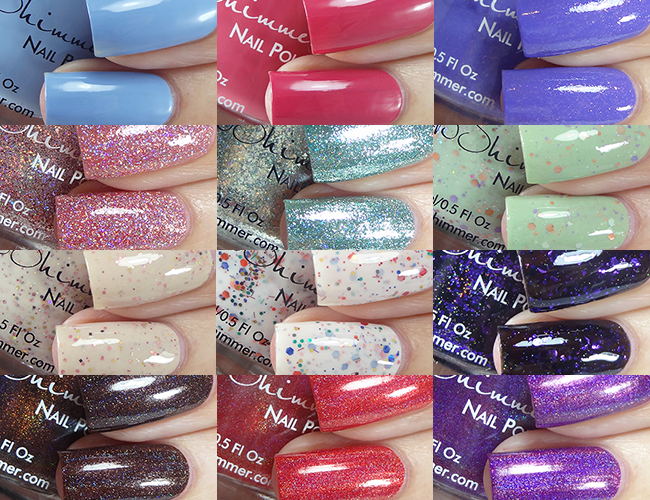 I have swatches of all 12 to share with you today. I love collections that include a variety of finishes, I prefer them over a bunch of holos or glitters, and it also keeps swatching interesting! There's definitely plenty of choice here and I defy you to find at least one you don't love. Grin And Gerbera It is a deep pink creme. I'm suitably impressed with KBShimmer's creme formula! This is practically a one coat polish, but I always use two for a more plump look. Little Boy Hue is a dusty baby blue creme, inspired by the Pantone colour of the year 2016, Serenity. 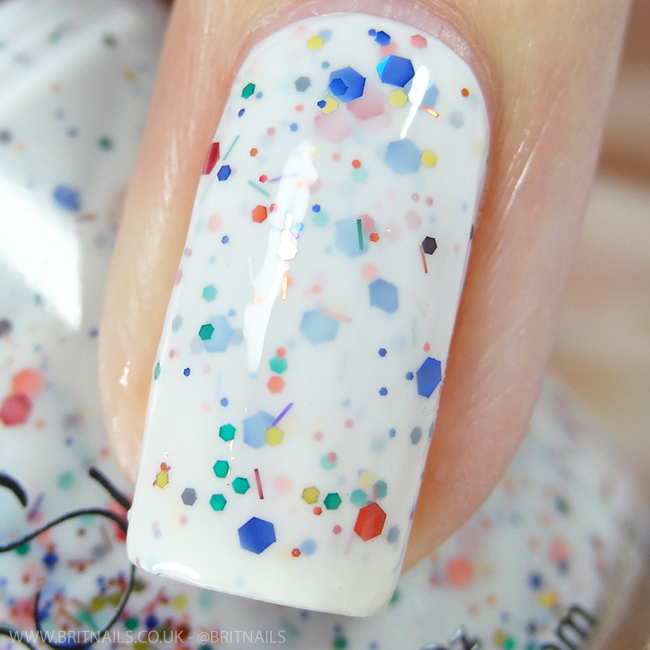 Lovely formula for such a pale colour, perfect in 2 coats. Tiers Of Joy is a cake batter coloured creme/jelly base with gold holo glitter, pink glitter and warm nutmeg glitter. This feels sort of festive in a way!? Definitely one of my favourites! This requires 2-3 coats, I used 3 plus top coat. Flake Me Home Tonight is a minty metallic, made up of silver flakes and holo sparkle to create a foil-like finish. This is super pretty and unfortunately my pictures don't do it enough justice, it sparkles much more in real life. I used 3 thin coats for full coverage, plus top coat. I'm happy to say KBShimmer lived up to my expectations and I hope I get to feature more of their polishes here in future. This is a varied, colourful Autumn collection with something for everyone. Let me know your favourite! 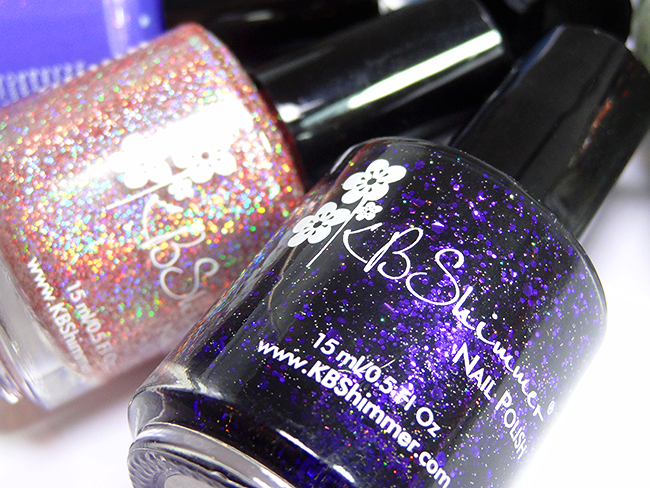 - KBShimmer is available from Color4Nails, who also ship internationally, so all my UK readers can get their hands on it! Perfect swatches Allie! :) KBShimmer cremes are just perfect, right? I agree that they always have a good mix of colors and finishes. Oh wow these are amazing! I'm so glad they ship to the UK. I've got my eye on a couple, I think Turning pointe and The Best Mum Ever are my favourites. Ok seriously, I NEEEED these already! So many great shades in the collection! Wonderful swatches Allie! Your swatches are stunning Allie! These just arrived at my place a day or two ago, can't wait to wear them! Beautiful swatches Allie! You're right with such variety of colours and finishes there'd bound to be something for everyone. I just love Little Boy Hue! Orchidding me is a stunning one!